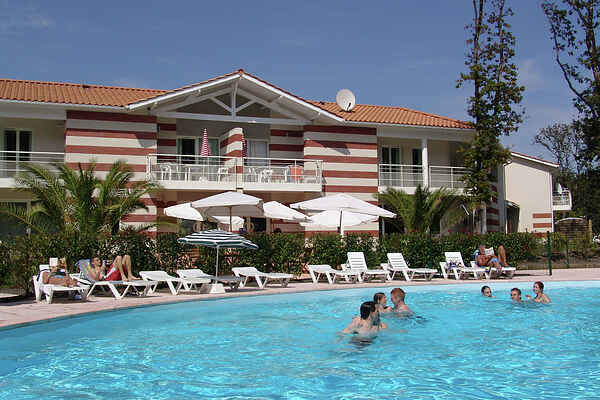 This lovely holiday park has a number of holiday homes and various facilities making it a great holiday destination. There are three different types of accommodation available. There is the FR-33780-11. This attached holiday home is suitable for 4 - 6 people. Some of these homes have a first floor, others are on one level. There is also the FR-33780-12. This type of accommodation is also an attached holiday home. This holiday home is for 6 - 8 people and has different floors. Finally, there is the FR-33780-13. This is an apartment for 2 - 4 people on the first floor. All types of accommodation have a lovely seating area in the garden or on the balcony. They also all have a dishwasher.